They&apos;d finally arrived at Valoor, and to her dismay there were no female guards. Camaeneth walked regally, her bracket behind her, and Saewon next to her. She didn&apos;t much care for how his brother was doing, truthfully they didn&apos;t seem like brothers at all. Saewon said he was adopted, which seemed more likely. Taken in as an orphan, his family took in Rivornor a while ago apparently. She didn&apos;t worry about the boy though, because she knew he would survive, well at least long enough to make it back to the Venus Royal Capital. It amused her, the queens decision to send her sister instead of her to Ostwyn and Shadowmount. Eeriness and Valoor had peace treaties signed with the Venus queen, but the other two races, had waged wars many times, or threatened to at least. She remembered the first war she&apos;d been in, they needed more people, she was only thirteen. She wasn&apos;t even a official captain yet, and they still asked her to go to battle. It was called the Grand Sky War, the named it that because it was the Shadowmount they were fighting. Since the Shadowmount race is born with wings, they have the ability to attack from the skies, and that is exactly what happened. It took all of the captains and warriors by surprise, and the few people who did survive still remember their first attack. It was a combined dark arts magic, it took out one third of the Original race. There were originally over one thousand brackets, but it was cut down to 300, they had been growing back everything and now had 500 brackets. But, they lost around 14,000 trained warriors, and 700 captains. The queen even lost her husband in that battle, the king. She&apos;s been reigning by herself ever since. The crowned princess, whom no one but a select few knew about including herself, went missing too. The queen lost her entire family in that war, and is still trying to make peace with the Shadowmount race. Their queen was not one to be trifled with, she killed the Venus King herself, sucked out his soul and ate it. King Rothust was almost ten centuries old, he was much wiser than everyone except the queen. They said he almost succeeded in wiping out then entire Shadowmount race by himself, before their king got killed and the queen went bloodthirsty with revenge. They say she even killed her own children, but that&apos;s just rude gossip that&apos;s been around for a century. The longer Camaeneth thought about it, the more her hatred for the race grew. "Captain, are you alright?" She heard Saewon&apos;s voice and immediately snapped out of her daydream. She hadn&apos;t done that since she was a child. But, once she remembered the past, there was no un-remembering it. "Yes I&apos;m fine Seawon, thank you for asking. Has the queen invited us to the throne room? Or is she waiting for a particular reason?" Her bracket followed her around the palace, which not to mention was gorgeous. The walls were made of beautiful Gallian stones which mixed a hardening cream colored metal with gold. There were many balconies with gorgeous red silk canopies covering them. The floor were made of carved cream marble with the Valoor royal crest on every twenty stones. It is said that every Maniza year they hold a grand celebration, because it was the year their queen was born. The Venus queen is always invited, and has reported that all balls are usually the most elaborate things she&apos;s ever been to. 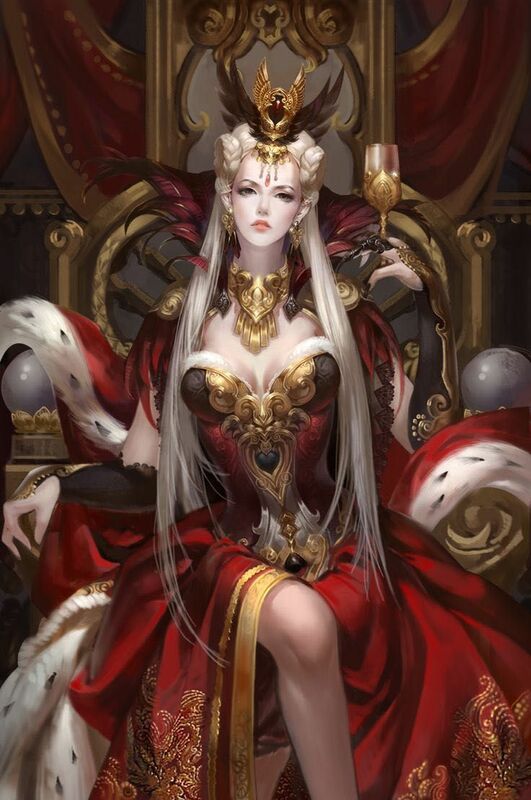 "The queen wants to see us immediately, she has important information she thinks would be useful to the Venus queen," Saewon answered whispering it quietly, Camaeneth noticed it but didn&apos;t comment. Apparently no one else knew she had any information, which made the Valoor queen much more valuable as of now. She&apos;d met the queen once before, they enjoyed a dinner when she was sent to check up on their armies. Armies, as in they had thirty of them, all at least one thousand Venus big. And with the size of the Valoor body, and their own personal strength, that was more like ten thousand. "Then we should head there immediately," she replied and made a turn to head to the throne room. Her bracket followed her that way and Saewon&apos;s steps were aligned with hers. She was starting to see more and more female guards as they got deeper into the palace, it pleased her. But she kind of felt pretty insignificant next to all the Valoor, the smallest woman she&apos;d met was 5&apos;10", and the smallest man 6&apos;2". The Valoor queen was 6&apos;2" herself and more than a little intimidating at first glance. She was well built with muscly legs and core, her arms were strong to but didn&apos;t look it. 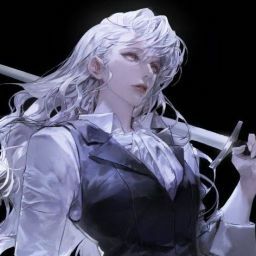 She was beautiful and very strong, the Valoor were basically built for battle, they say her husband is 7&apos;0" tall, and so strong that he carried twenty warriors to the healing camps during battle. She&apos;s never seen him, but he&apos;s supposedly a wonderfully kind man. Camaeneth had researched all of the Valoor&apos;s best warriors to try and recruit them for the Venus queens personal army. There was one in particular that caught her eye, he has won oven twenty battles and every time, managed not to get a scratch on himself. She didn&apos;t know his name, all he knew was his information. Blonde with blue eyes, 6&apos;10", very well built, almost 100% muscle. She knew his birthdate and his army number, he was warrior 151, in the 15th army, number one warrior. She would recruit him first. "We&apos;re here miss," Agarwaenel, her vice-captain told her. They approached an extremely large door made of pure gold, the Valoor had some odd fascination with gold. Everything was extremely large to accommodate the Valoor people, along with looking grand and elaborate. The guards next to the door bowed to her and opened the large doors, which made a large scraping sound on the floor. As they opened a large ray of sunlight shinned through them, the Valoor only used sunshine as a source as light. And moonlight at night. It blinded her and before she knew it, there was the queen. She stood only four inches taller than her, but it was still an extreme difference to her archer who was only 5&apos;2". The queen had beautiful white blonde hair that was half up half down. Her skin was snow white and eyes a lovely grey color. She had long legs and a proportionate breast size. The queen wore a gown of red and white cloths and a black corset that was bordered with gold. Her dress was bordered with a white fur and she wore a cape made of red silk. Her crown was pure gold with a large red jewel in the middle, the Valoor sacred gem. "Your highness," Camaeneth said abruptly and knelt down on one knee, her bracket following her action. The queen smiled at them and reached out a hand. "Gosh Camaeneth you need not be so formal. We have met before, and even shared a meal, it is perfectly fine for you to call me Gharil." Camaeneth took the hand that was reached out before her, she meant to use her own strength to get up, but the queens quickly overpowered her own. Calling her Gharil was so informal, it felt wrong on her tongue. "Would Queen Gharil do? I don&apos;t mean to sound ungrateful, it&apos;s just you deserve a formal title,"she tried to make it sound as kind as possible, for a second the queens smile faltered, but found its way back on her face in quickly. "Of course! That would be pleasant too, it&apos;s just your highness and majesty get old. I enjoy having the company of others who can call me by my own name. It is nice to see you again, how is the Venus Queen?" Queen Gharil asked still with a warm smile pasted in her face. It was genuine, she could tell, and it felt nice to see that smile again. Gharil was the only one of the queens who didn&apos;t treat her as if she were a peasant. "Is she recovering from the war? How is she feeling about Hannor and her daughter?" She didn&apos;t know how the queen felt honestly, it surprised Camaeneth how strong the woman had been the past six years. "She seems to be doing fine, except every once and a while she will talk about them. And when she does, she almost always cries afterwards," Camaeneth replied as nicely as she could, it wasn&apos;t her place to tell the Valoor queen about her majesty. "I do really hope that she is feeling alright, I know if I lost my husband, I most likely would put a pause on my rule. I can&apos;t imagine loosing her daughter too, it&apos;s a tragedy, but we look forward right," Queen Gharil said, she always left off on a good point. "I have come to ask that you attend the Queens Meeting, it is quite needed don&apos;t you think." "I would love to attend, I never miss out on seeing her again. And also to see the others is wonderful as well, although some are more cheery than others," Queen Gharil agreed and moved with fluent steps to her place on the throne. Camaeneth saw that there were many secret guards placed around the room, to seem like they weren&apos;t being watched they were in dark corners of the room or hidden out of sight. The Queen cleared her throat. "Now it seems like you have something else on your mind, what is it?" "You said you had something urgent you need to speak with us about, something that would help the Venus queen?" Camaeneth didn&apos;t want to be pushy but, she desperately needed to know, if it was something about the opposing side, it was extremely important. "Ah yes! I wanted to talk to you about the Shadowmount royal bloodline," the queen started. "Wh-what about it?" If it was about the Shadowmounts, then it could be nothing good. "I just wanted to let the queen know that the Shadowmount queen&apos;s children are indeed alive. And they&apos;re not hiding anymore."